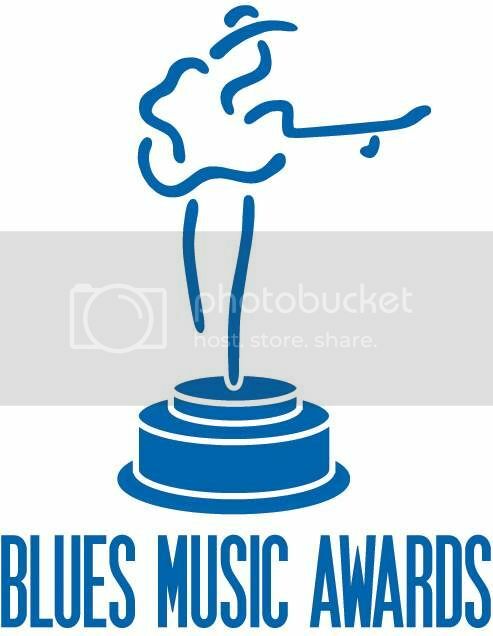 The 32nd Blues Music Awards are less than a month away. I've bought my ticket for the ceremony and booked my hotel. I had the time of my life last year and I can't possibly be any more excited about this year. A big part of the fun last year was the series of articles I wrote leading up to the awards, breaking down the categories and nominees, and revealing my own BMA ballot. I'm doing it again this year, beginning with the Contemporary Blues categories. The blues community rallied mightily around Robin Rogers as she was treated for liver cancer last year, championing her Into The Fire album, helping it to reach #1 at blues radio. They came together to mourn when she passed away in December of last year, days before voting for this year's awards began. This award is hers. I'm more sure of that than I am any of the other 25 categories. She was a genuine talent, beloved and respected by her peers. Her victory in this category won't be undeserved but it's not easy to discuss the nominees for this award without addressing that. Janiva Magness and Shemekia Copeland are immensely popular, and both are often nominated in this category (Magness has won this award before, not sure about Copeland). Karen Lovely is a relative newcomer but has quickly become a force. Candye Kane is herself a cancer survivor and has been a major force on the blues circuit as well. Last year, I voted for Copeland in this category. I still love her voice. She'll always be a favorite of mine. I also first heard Karen Lovely sing last year and I fell in love with her voice. I became an even bigger fan when I heard her Still The Rain album, which we'll discuss at the end of this piece. Rogers will win and I will applaud loudly but my vote went to Lovely. There are a lot of great names in this list, but does anybody think this award will go to anybody but the legendary Buddy Guy? Joe Louis Walker released a great live album from the Legendary Blues Cruise and won Album Of The Year for Between A Rock And The Blues last year. Kenny Neal and Nick Moss are both on Walker's Blues Conspiracy live album and both released critically acclaimed records last year as did John Nemeth. Guy, meanwhile, is a Blues and Rock & Roll Hall of Famer, received a Lifetime Achievement Award last year, and released another enormously popular record. I love Buddy. I met him briefly last year at a Blues Foundation function and I'm going to see him in Nashville with another of the true giants, B.B. King. Buddy is one of the most decorated musicians in blues history and it's damn well deserved but his shelf and legacy would be none the poorer if he were to miss out on this one. He'd get my vote most years, but not this time. Nick Moss has been nominated, I believe, 18 times at the BMA and has yet to win. That's just silly. He probably doesn't care but that's what friends are for and I think of Nick as a friend, having interviewed him and met him at gigs. I want this for him even if he doesn't (I've never asked). I've listened carefully to every one of his records and he has grown so much from First Offense to Privileged. He always had serious chops as a guitarist but he is now an accomplished songwriter and producer and a forceful singer. He is a blues artist in every sense and it's time to put a trophy in his hands. John Nemeth - Name the Day! There are a lot of great names in this list, but does anybody think this award will go to anybody but the legendary Buddy Guy? Weird. Didn't somebody say that already? I listened to all five of these records and reviewed four of them; there's not a bad album in this list. Two of them made my Best Blues Albums of 2010 list, and my vote came down to those two. I mentioned above that I first heard Lovely last year at a performance the evening before the BMA but it was Still The Rain that made me fall in love with her as a phenomenal singer. I'll be stunned if Guy doesn't win this one as well, but I cast my ballot for Lovely. So bringing it all back home, I believe it's set in stone Rogers and Guy will win. I'm okay with that but to quote Dave Mason "we just disagree." Nick Moss will one day get his (he's nominated twice more this year and we'll discuss those categories in the coming days) and Karen Lovely is just now reaching the masses and her day is coming, too (she's up for one more award as well). It's going to be an exciting month looking at these categories and counting down the days until May 5 when all will be revealed.